Fortunately, there are some fabulous foot care products out there that can extend the life of your pedicure and keep your feet looking good for longer. Rituals make amazing body scrubs – their Hammam Hot Scrub is one of my favourite products. This tube of Yogi Secret Detox Foot Scrub with holy basil and fresh mint is equally fabulous and refreshing. Massage into dry feet and wash off when done. Instant results! The La Source range by Crabtree & Evelyn is well known for its gorgeous fragrance and visible results. 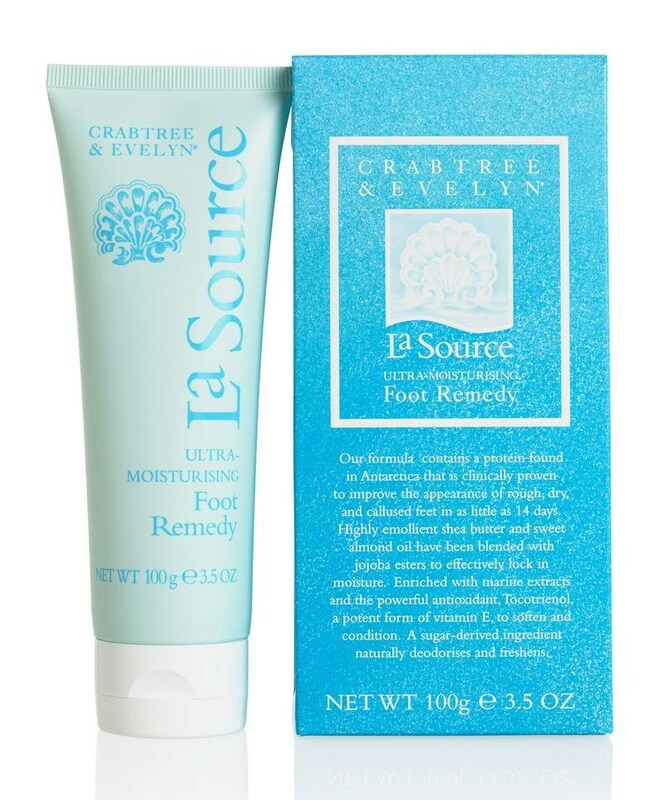 The La Source Ultra Moisturising Foot Remedy is made with shea butter and sweet almond oil and is fantastic for treating dry, rough feet and keeping them soft and supple. Apply on feet before bedtime and cover with a pair of socks – you will feel the difference in the morning. This is one product I can’t wait to try out soon. Margaret Dabbs is a ‘celebrity foot expert’ and has a cult following in the beauty world. A pedicure at her London foot spas (located at Harrods, Liberty and her own clinic in Marylebone Village) ranges from £80-£175! Margaret Dabbs also has her own line of beauty products for the feet and the famous ‘Intensive Foot Treatment Oil’ claims to work instant wonders. Made with ’emu oil’ sourced from Australia, and scented with lemon myrtle, the oil is considered a miracle for dry, cracked foot skin and nails. 100ml of foot oil for £22 is pricey but I will definitely be trying this out before indulging in a £80 pedicure!